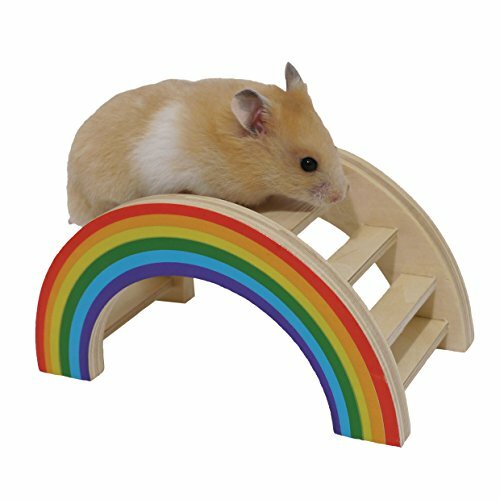 You want your new furry friend to have all the best stuff but what do hamsters need to live happy, fulfilled lives? Let's find out. 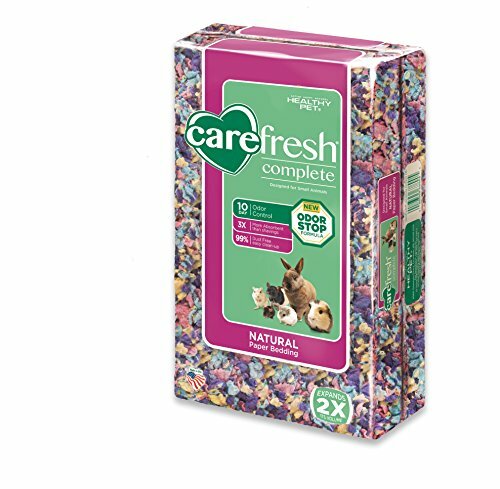 Because you are asking this question we know you will provide the #1 thing your hamster needs... a loving owner who really cares about his well being. In a hurry? Here’s a shopping list of all the stuff you NEED for your pet hamster. 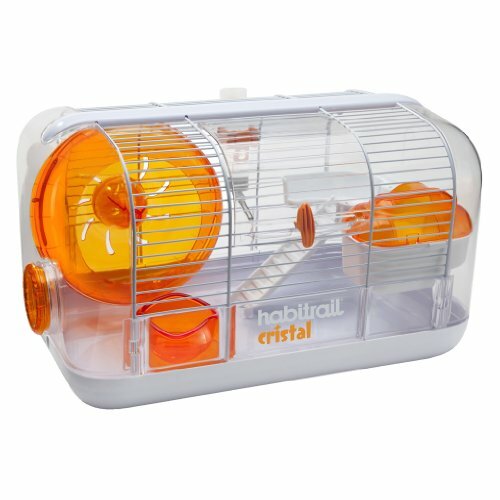 But when it comes to habitat, food and toys, there's (literally) a ton of stuff available in stores for your pet hamster. Some of it is cute and useless. Some of it is boring and essential. How do you know the difference? 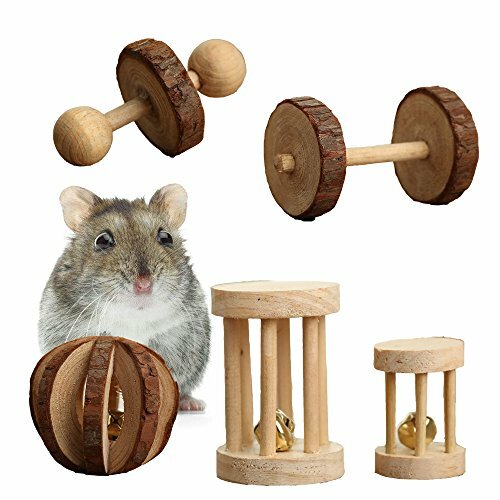 Let us help you sort out what do hamsters need vs what we want to get them. 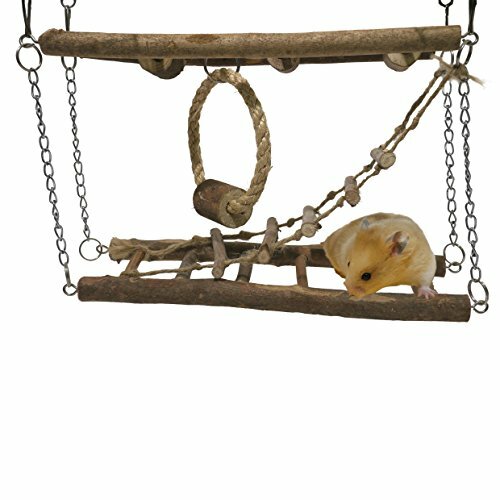 WHAT DO HAMSTERS NEED? A Hamster Home. 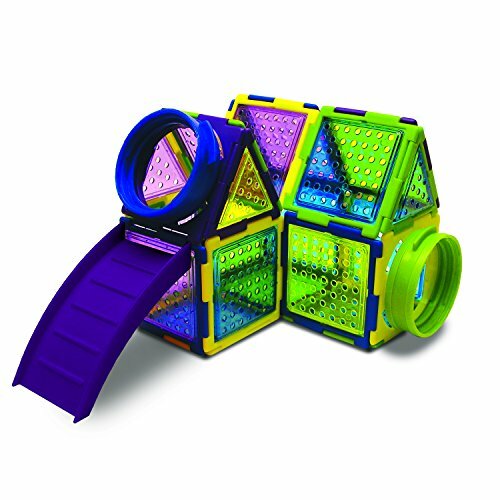 When it comes to hamster cages, bigger is always better. 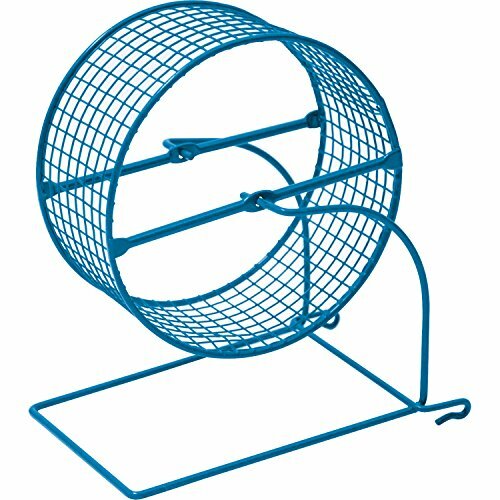 Big hamster cages are important for your little fella's health and happiness. Even though you think of him as a tiny "pocket pet", in the wild he would run around in an area of up to one square mile where he would gather food and nesting materials. This is what's normal for them. So, don't let anyone tell you he'll be truly happy living his whole life in a tiny little cage. 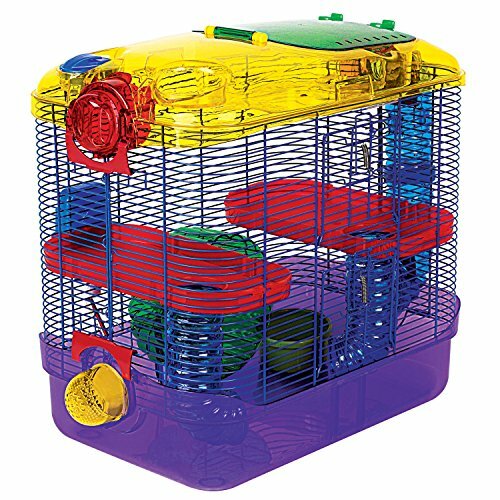 Now let's talk about the the best hamster cage for your little friend. Honestly, that's gonna depend on what kind of hamster you get. 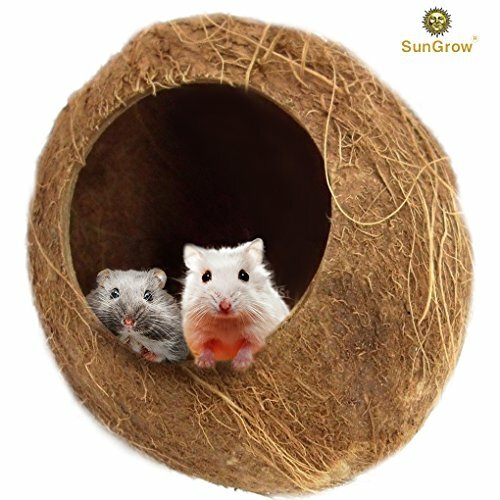 The two most common types of pet hamsters are the small Dwarf Hamster and the much larger Syrian Hamster (often called a Golden Hamster, Standard Hamster, Fancy Hamster or Teddy Bear Hamster). Dwarf Hamsters only grow up to be about 4 inches long. On the other hand a Syrian hamster grows to be about 7 inches long! So you see, they will need much different spaces to be happy. Now, we are not saying that a dwarf hamster needs less room to run around and play in. Every hamster should have lots of space to stretch his legs and play. 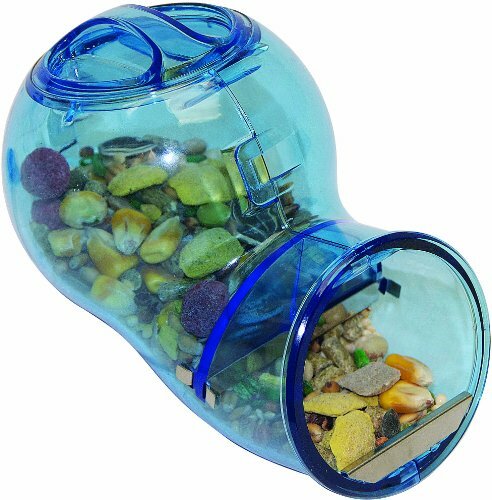 Just remember that they need smaller hamster tubes, nest boxes and other size appropriate stuff. If the tube is too big, they won't be able to climb up it. On the other hand the best Syrian hamster cage and all it's stuff is going to need to be bigger because Syrian hamsters are much larger animals and won't fit thru hamster tubes built for dwarf hamsters! 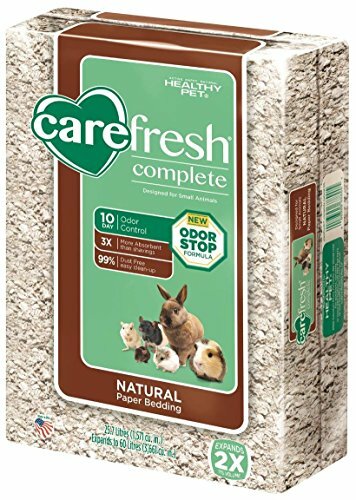 Your hamster needs some sort of bedding material in the bottom of his cage or tank. This should be something she can dig or tunnel into, chew on and make nests out of. It also needs to absorb her pee and poop. 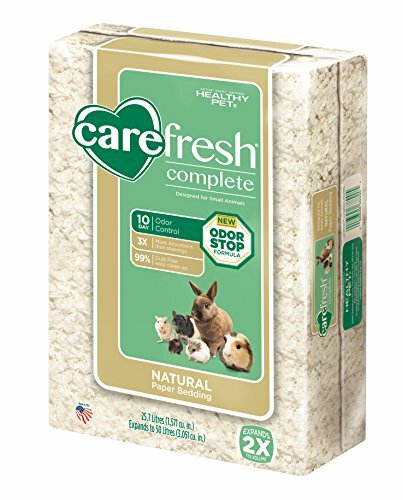 It is dust free (good for your hamster's lungs and yours). 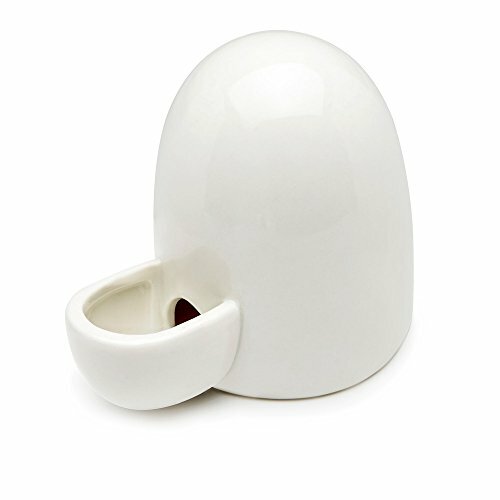 It is very absorbent (about 3 times more absorbent than wood shavings) so it'll hold a lot of mess and keep your hamster warm and dry. It doesn't stick to your hamsters floor so cage cleaning is easier. And if all that isn't enough it's made from recycled pulp so it's easy on the environment. People used to use wood shaving for their pet hamsters and some folks still do. But they are not really good for your hamster because they are rough and can give your hamster splinters or cut them and they are often dusty. If you must use wood shavings for some reason, use Aspen, it is your safest bet. 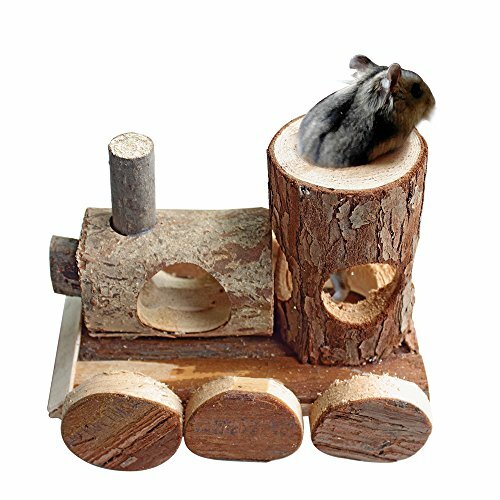 Never use cedar or pine because the chemicals in them that make them smell good to us are poison to your hamster and will hurt his lungs!. Paper towels and newspapers are another option for lining your pet hamsters cage. If you are using newsprint consider running it thru the kind of shredder that makes long strips first. Every animal on earth needs water survive and your hamster is no different. 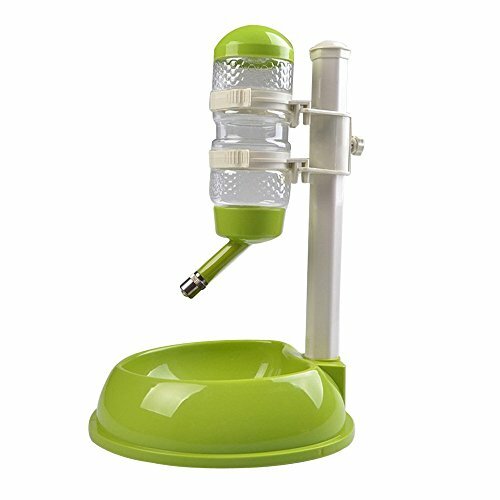 Be sure your little friend has access to clean fresh water every day. To give him this we suggest you get him a water bottle like the one you see here. 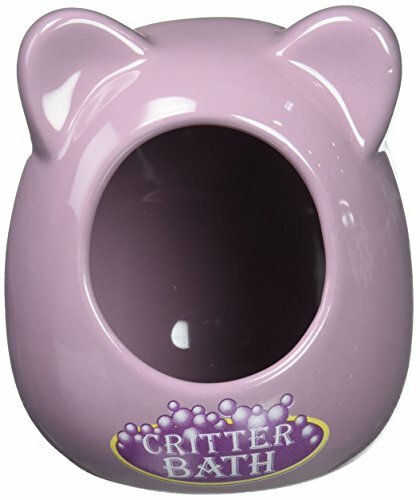 Some folks use water bowls for their pet hamster but this becomes VERY messy VERY fast. 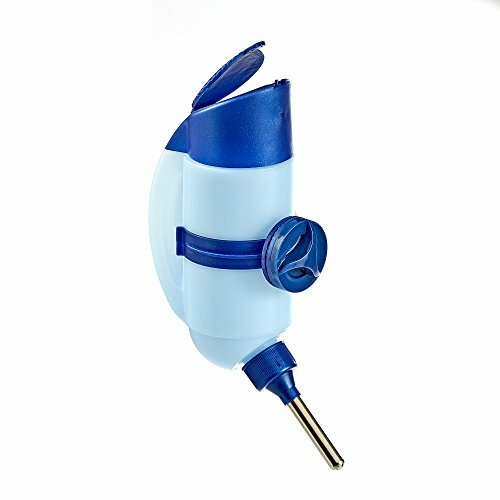 Be sure you fill the bottle with fresh clean water every day and wash it at least once a week with a bottle brush or run it thru your dishwasher. 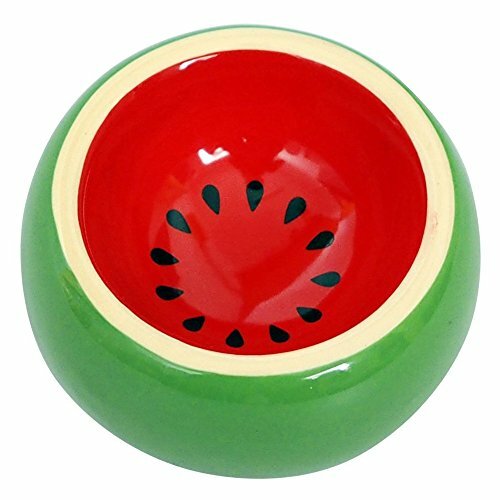 Ceramic pet bowls are best for hamsters food because they are heavy enough to keep your hamster from tipping it over and are chew proof. Remember, your hamster is going to chew on anything and everything it can. It's just what hamsters do. In fact they NEED to chew because, just like your fingernails, your hamsters teeth never stop growing. 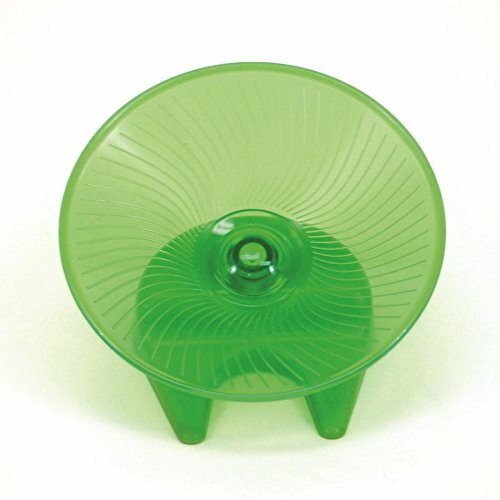 When choosing food bowls for your hamster, remember they like to sit in their food bowl when eating so be sure to get one that is big enough to let them do this comfortably. 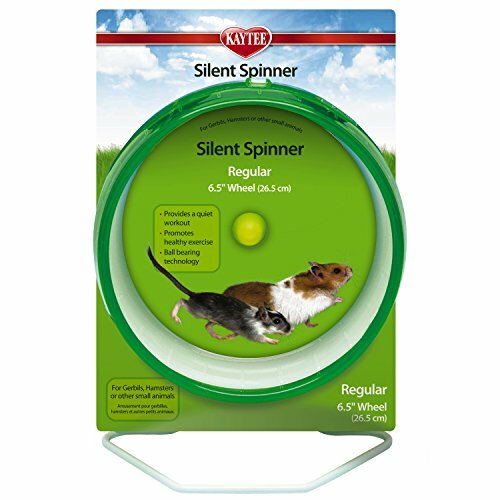 You should feed your hamster a pellet type food that’s made specifically for hamsters. Not one that’s made for “small animals” or mice. 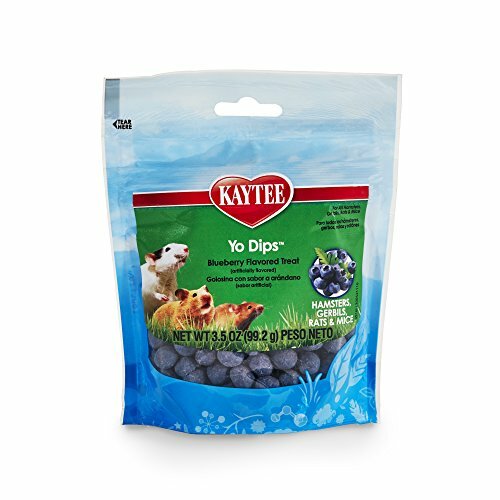 These hamster pellets are made from all the types of hay your hamster would eat in the wild. 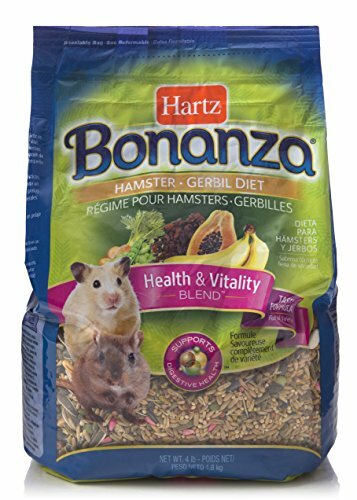 Avoid “hamster mixes” that are full of seeds and dried fruits. 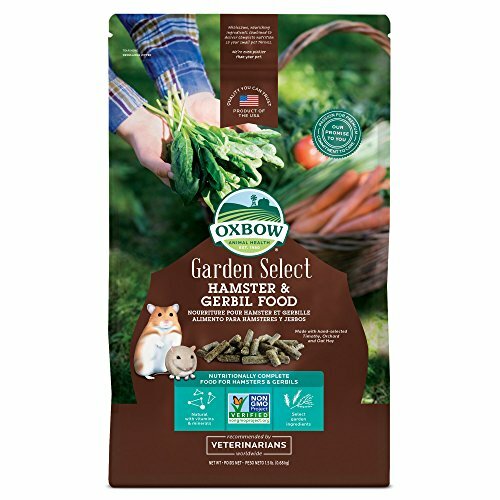 This type of food only provide good nutrition if your hamster eats everything in the bag. But they won’t. Just like a little kid, your hamster will eat the super YUMMY stuff (treats) and leave or hide the rest. If you let them eat that way your hamster will be both fat and malnourished which will shorten her life. 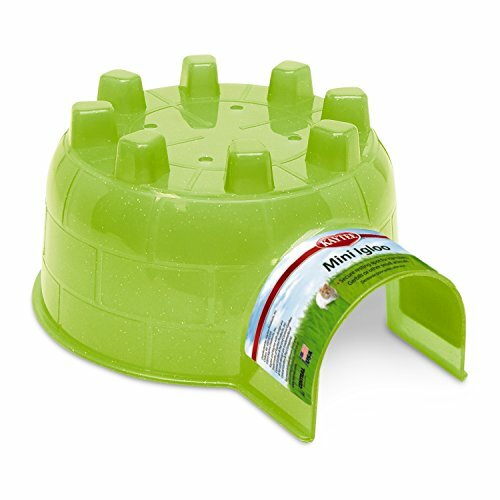 If you do decide to get a hamster “mix” be sure it is one that includes pellets. 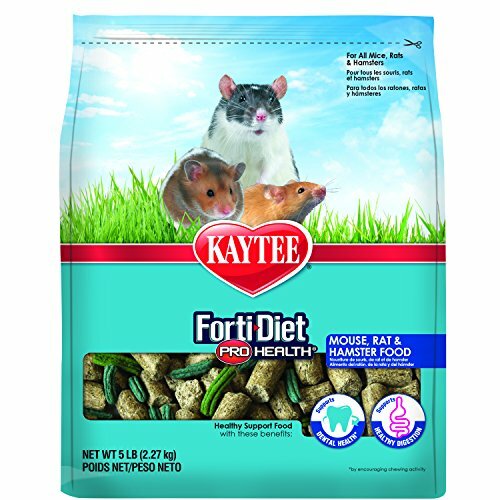 This hamster food is our favorite for all the reasons we just talked about plus it’s recommended by lots of veterinarians and it’s Non-GMO. That said, all three of the hamster foods below are very good choices. 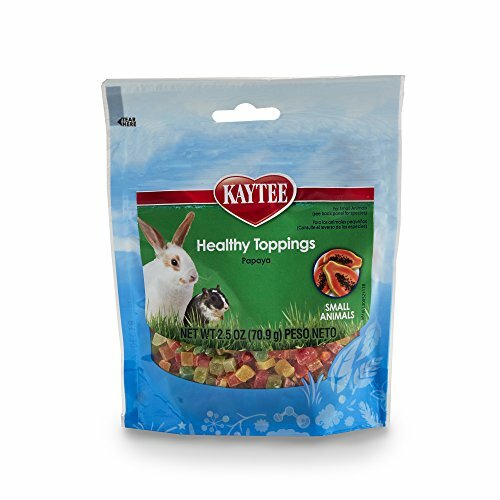 Each one is complete nutrition for your pet hamster and all of them are made in the USA. 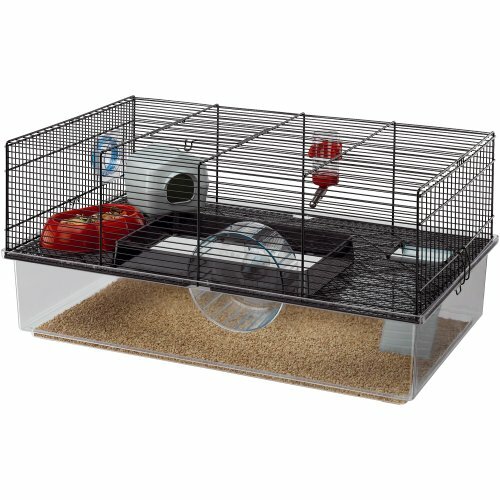 Your pet hamster will want a small place to “get away from it all”. Remember, in the wild hamsters sleep in tiny dens they dig underground. So a tiny hamster house or nest box where they can sleep or just hide is essential. This doesn’t need to be anything fancy. A cardboard box, clay pot or plastic margarine tub with a door cut in it will do. Just remember, anything you put in your hamsters cage will be chewed and peed on... A LOT! If you can’t wash it, you’ll have to replace it… OFTEN! Other than eating, running is a hamster's favorite thing to do (remember we mentioned that in the wild they run around in a square mile every day). So they can enjoy themselves you need to get them an exercise wheel. We like this one because it is QUIET but there are lots of different kinds available. 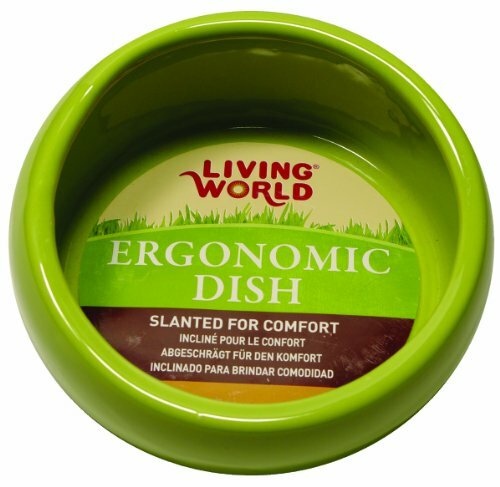 Just be sure you get one that is big enough for your hamster to stretch out and really RUN on. Did you know your hamster’s teeth never stop growing? It’s true! In order to keep them short, sharp and in shape you’ll need to be sure your little fella has lots of things to chew on. Warning: If you don’t give them things to chew on the will find things to chew on. I guarantee you won’t like their choices! Hamster treats, tubes and other toys aren’t “essential” but sure are nice for both your hamster and you. None of these things need to be elaborate or expensive. Paper tubes and cardboard boxes make lovely hamster toys. Or make a hamster hammock out of an old wash cloth. Giving your hamster a treat is a great way to bond with or train him. 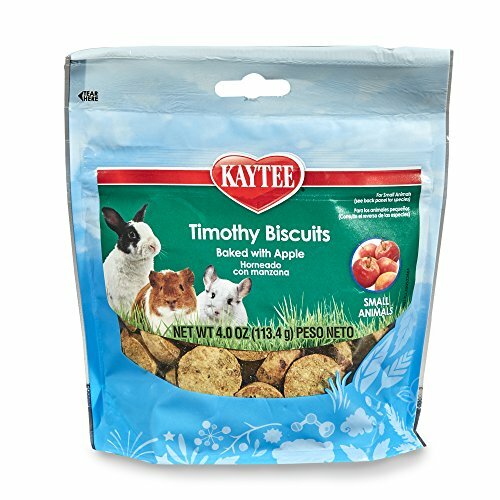 Yogies, fruits, veggies and even “hamster food mix” make wonderful treats for your little buddy. Just be sure to pass them out sparingly. They are supposed to be something special not his main meal. Don't you hate it when you can't find something you thought was cool later when you're looking for it? Solve that problem by pinning this as a reminder! And don't forget to follow us on Pinterest so you never miss any Spiffy Small Pet Stuff! 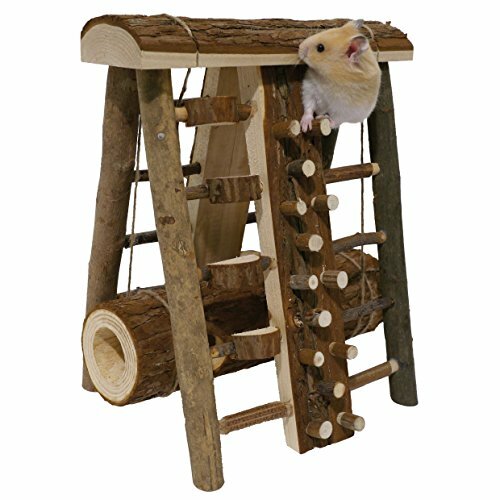 Given the huge selection of stuff available for pet hamsters it can be hard to tell what’s worth buying and what’s not. And let’s face it, some of that stuff is just plain junk! We congratulate you for taking the time to look into this and ask yourself “What do hamsters need?” before just buying the first shiny thing that comes your way. Your hamster will be much happier because you did. Like "What Hamsters Need?" Please Share It With Your Friends. Thank YOU!